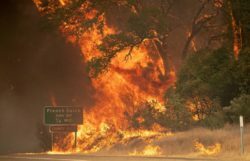 I was all set to send the latest newsletter when news of the devastating Carr Fire in Shasta County, California hit the news. 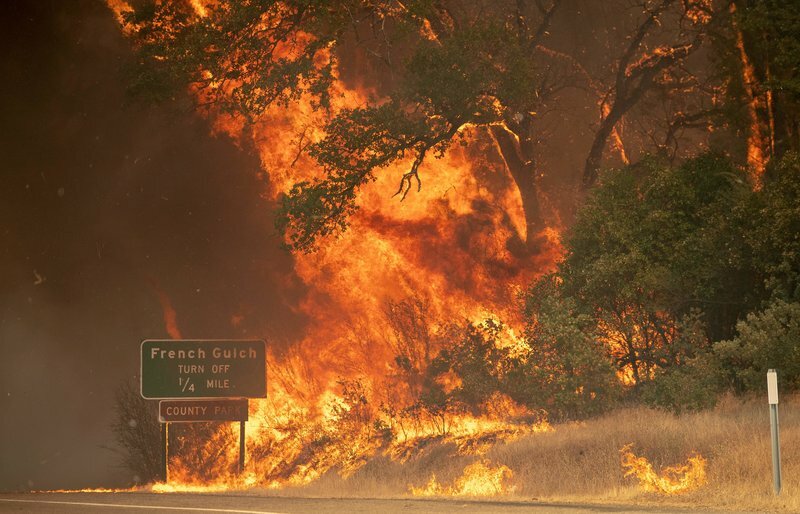 This fire touches me in a very personal way because exactly 40 years ago, I left my home in Springfield, IL and landed in Redding, California. I knew not a soul there at the time, but was immediately taken by the beauty of the mountains, forests, rivers, streams and lakes. Eventually, I developed lifelong friendships there and it was in Redding where I began my musical career. There were many great times hanging out with friends and many summer days swimming in the lakes at Whiskeytown and Shasta to get away from the triple-digit heat. It was on Shasta Lake where I made my first and last water skiing try. I have lots of fond memories and specifically the gatherings with friends in French Gulch (took that turn off a lot! ), Old Shasta City (a small town, really) and in the neighborhoods directly west of Redding. These are the areas directly affected by the fire. Many of my friends have had to evacuate, and two of those friends have lost all except for what they took with them. I want to help, and one way I can do this is with my music. If you ask any musician who has recorded CDs, “how many do you have left?” they’ll tell you hundreds or maybe thousands. My basement isn’t bursting, but I certainly do have at least a thousand down there, all waiting for folks who would love to hear the music. They are taking up space and I figured that perhaps someone (anyone?) would purchase a few. I could then take a portion of that money and send it off to Redding where it’ll be put to good use. From now until August 13, for every CD I sell at $18 ($15 + $3 s/h), $8 of every purchase will go to the Tri-Counties Bank relief efforts in Shasta County. If you choose a volume discount, $8 per CD will still go to the relief effort. CDs make great gifts and this would be a chance for you to do your Christmas shopping early (!) and at the same time, help the folks in Shasta County who have been devastated by this awful fire. Tri-Counties Bank was my bank when I lived in Northern California and they are really stepping up to assist the community. Please have a wander over to the E-Store and I do hope you’ll purchase some CDs and help my former neighbors and many friends in Redding and the surrounding area to help in recovery efforts. NB: apologies, but this offer is not valid for digital purchases.